I read The Spirituality of Parenting by Kathy Hendricks last year during my son’s first month and found it profoundly comforting, honest, and inspirational. I'm thankful to Kathy for taking the time to talk with me and confident that many of you will find inspiration in her wise words, too. In The Spirituality of Parenting, you explain the benefits of making gratitude a daily spiritual practice. Do you have any other recommendations for daily practices—big or small—that would allow parents to be in more tune to their own spirituality and the spirituality of our children? I think another simple and yet profound practice is that of attentiveness. Having children is a wonderful opportunity to watch the wonder of life unfold right before our eyes. I have a new baby granddaughter and just examining her tiny hands is an exercise in awe. I also think that parents can observe themselves growing more compassionate and large-hearted, wanting for other children what they desire for their own. A case in point is the tragic case of immigrant children being separated from their parents. This must tug at the hearts of all who can set politics aside and ponder the very essence of what it means to be humane and compassionate. The empathy that grows in parents who remain open to God’s love by making themselves vulnerable is a powerful form of spiritual maturity. I also would encourage parents who like to write to keep a journal, even if it’s just a couple of lines a day. Write down the cute, funny, or touching things your child says as these quickly slip from memory. Reading these over on the hard days can be a true blessing. Recording our own thoughts can be a wonderful spiritual exercise that adds perspective and creates a “long-haul” view of life. Many parents want to raise their children in some sort of spiritual or religious tradition but are deeply uncomfortable with their own religious upbringing. What can parents do to develop their spirituality and the spirituality of their children when they aren’t connected to a specific place of worship? Do you have any advice for those who are disillusioned with church and/or religion in general? Having worked in and with the Catholic Church as well as facilitated retreats for members of other denominations, I can attest to the way in which children often bring parents back to their religious roots or open them to someplace new. In doing so, parents may come to appreciate the value of worship, community support, and that of belonging to something larger than themselves. I have seen this in my own family when nieces and nephews have asked about or sought Baptism for their children even though they haven’t darkened the door of a church in a long time. It may be that children offer an opportunity to re-examine our disillusionment, seeing it perhaps in a new light. On the other hand, there are those who want to guard their children against abuses or deadening experiences that led them away from their place of worship in the first place. The good news is that God is not confined to a particular denomination or form of religious expression. Spirituality can blossom anywhere. There are many wonderful resources to read or find online that provide inspiration. (Your web site is one of them!) I have written a couple of books on the spirituality of the home and, in doing so, found lots of great material that offer ideas for praying in the home as well as cultivating virtues. In my own life, the rituals we celebrated as children around the holidays formed a tremendous basis for my spirituality. My parents were my first great mentors when it comes to spirituality. In The Spirituality of Parenting, you mention the importance of contemplative practice, which, as you say, “teaches the importance of surrender.” Do you have some advice on how parents can get started with contemplation (or meditation) if they have no experience with it? As I mentioned earlier, start with simple attentiveness to the world around you. Contemplation has been described as simply “resting in God.” While rest can seem improbable for busy parents, it is possible to find small moments throughout the day to pause and take in the wonder of life around you. Every night, for example, I pray something called the FSSST prayer. I count off on my fingers five sensations I have experienced throughout the day – F = feeling/touch; S = sight; S = sound; S=smell; T = taste. I generally fall asleep before I have gotten through all of the five senses as it is a very restful way to let go of the day. It’s also a bit of a spin on the Ignatian practice of Examen – a review of the day that not only examines one’s conscience in light of one’s failings but also in recognition of our blessings. In my latest book, Finding Spiritual Balance in an Off-Kilter World, I offer ideas for coming in touch with the imbalanced aspects of our lives. Many of these are caused by trying to live up to unrealistic expectations placed upon us by ourselves or others. The appendix in the back of the book defines several spiritual practices that are easily accessible to parents. The full title of your book is The Spirituality of Parenting: Connecting Heart and Soul. How do you differentiate between heart and soul? Are they always connected or is some effort required on our part to connect them? That’s a great question. To some degree they are the same. The ancient Hebrews, for example, viewed the heart as the seat of wisdom and the place where the deepest intimacy of God is developed. I suppose in writing about parenting, however, I see the heart as this place of complete vulnerability, something I refer to in the first chapter of my book. It’s why I so love the image of parenting as “walking around with your heart outside your body for the rest of your life.” That gorgeous passage from Ezekiel 36:26 in which God promises to replace our hearts of stone with hearts of flesh speaks to the softening of the heart in ways I described above. When I speak to groups about this I draw upon the images of the pulsing, racing, throbbing heart that can, at one moment be so full of joy and wonder, and the next be wounded and aching. Such is the reality of parenting. The soul, on the other hand, is the essence of who we are. Carl Jung and Thomas Merton called it the “true self”; Richard Rohr describes it as our “inner and inherent identity.” While the heart can be buffeted by external forces, the soul remains intact. Teresa of Avila used the image of a “mansion with many rooms” to describe the descent into the soul and into deeper union with God. Coming in touch with that “true self” is essential for parents who may start to question who they are given all of the demands on their time and energy, not to mention the cultural expectations to be perfect. Connecting heart and soul means we stay grounded in the midst of that expansive act of loving and giving to our children. It brings together the inner and outer life – both of which are necessary. When dwelling only in the soul, we run the danger of becoming disconnected with life – kind of like the guru on the mountaintop. A heart-centered life, while seemingly ideal, can also run the danger of reacting versus responding to life’s demands and challenges and remaining disconnected with our truest selves. It does take effort and intention to connect them. This can be particularly hard in the midst of parenting when there are so many outside demands. It’s why a daily spiritual practice is so essential. Is there anything you’ve read, seen, or heard recently that might be helpful to parents? Wendy Wright wrote a lovely book called Sacred Dwelling, also published by Twenty Third Publications, in which she likens the stages of family life to the rooms in a house. There are various blogs written by mothers that are pretty good but I haven’t logged into them for a while. It’s heartening to see web sites like yours because so many of online sites tend to be rather pious and often unrealistic. It’s also vital to have a male voice writing about parenting. In terms of general spirituality, I am very fond of the writing of David Steindl-Rast and his web site, gratefulness.org. Give Us This Day is an example of a daily meditation that provides a quick way to reflect on the daily readings (it’s a Catholic publication) and pray an abbreviated Liturgy of the Hours. I also love the writing of Barbara Brown Taylor. Her book, An Altar of the World, provides a guide toward attentiveness to the world around us. Wayne Mueller wrote two lovely books – Learning to Pray and Sabbath – that offer gorgeous insights into prayer and Sabbath-keeping. In The Spirituality of Parenting I told the story of my daughter, Jenny’s, life and death. I found the writing of Rachel Naomi Remen (My Grandfather’s Blessings and Kitchen Table Wisdom) to be sources of great solace and hope in the years since she died. And for sheer fun, the Ron Howard movie, Parenthood, is still a gem! 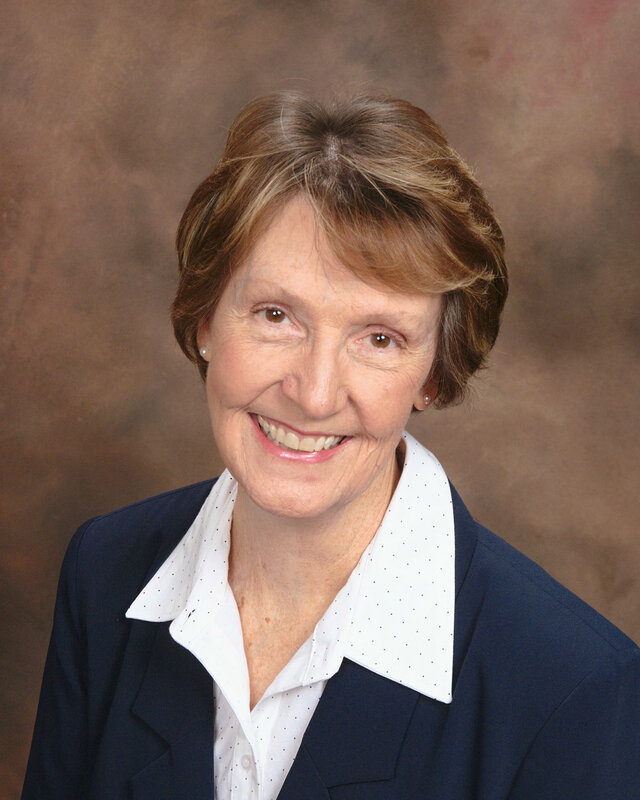 Popular speaker, catechetical leader, and consultant Kathy Hendricks is the author of numerous books, including Seeking Spiritual Balance in an Off-Kilter World and Forming Families in Faith, both from Twenty-Third Publications. The Spirituality of Parenting is available for purchase here.